We had earlier covered CPU-Z and HWN BlackBox both of which offer extensive details about the processor, RAM and Motherboard, but these tools did not give extensive information about the graphics card. 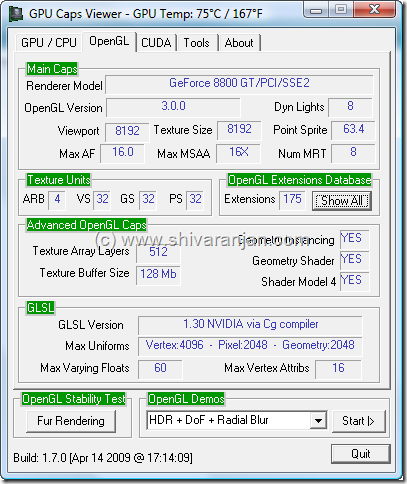 GPU Caps Viewer is a free tool that provides you with extensive details about your graphics, Open GL capabilities of GPU and allows you to stress test your graphics card. 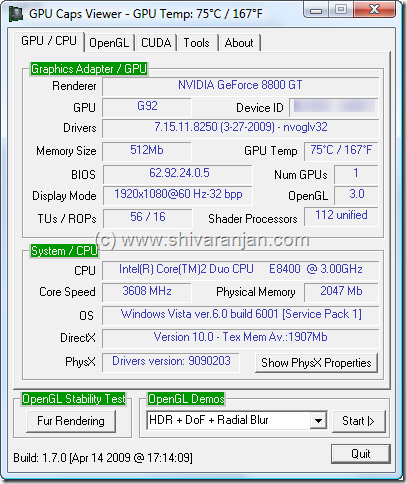 The following details about the graphics card can be found out: GPU, Device ID, driver version installed, memory size, GPU temp, GPU BIOS version, no of GPUs, resolution of the display that is connected, shader processors available. OpenGL details like renderer viewport, texture size, Dyn Lights, Max AF and etc are detailed in the OpenGL tab. 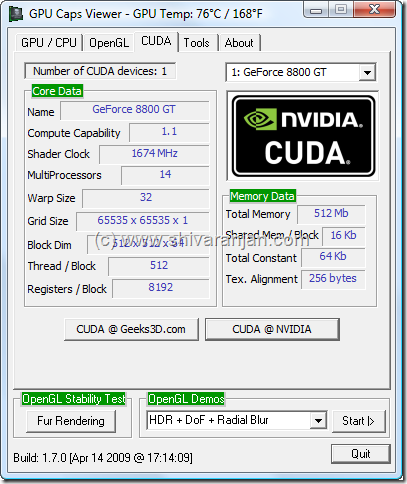 As most of the Nvidia cards now have CUDA capability and graphics card technical CUDA parameters like shader clock, warp size, grid size, memory, no of processors and etc can be found out. 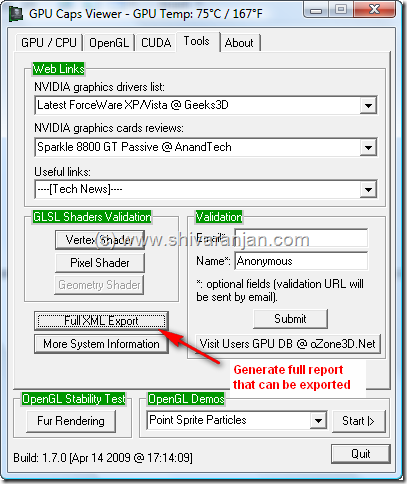 In case if you wish to generate a report about the graphics card details you can do so in the Tools tab from where it can be exported using the “Full XML Export function”. 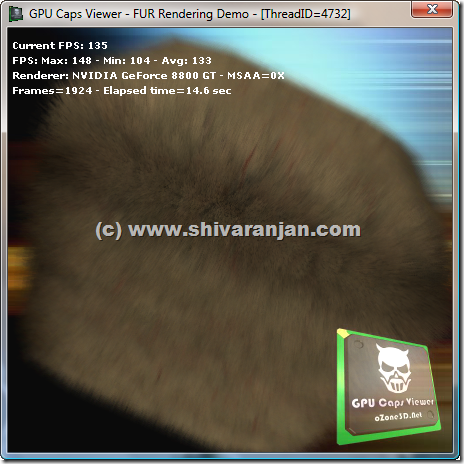 One of the best feature that we liked here was the capability to stress test the graphics card, there is a OpenGL stability test called Fur Rendering which is used the stress testing tool. This is one of the best graphics card utility that we have come across, this runs without any issues in Windows XP and Windows Vista. This can be used as a portable application as this does not require any installation.